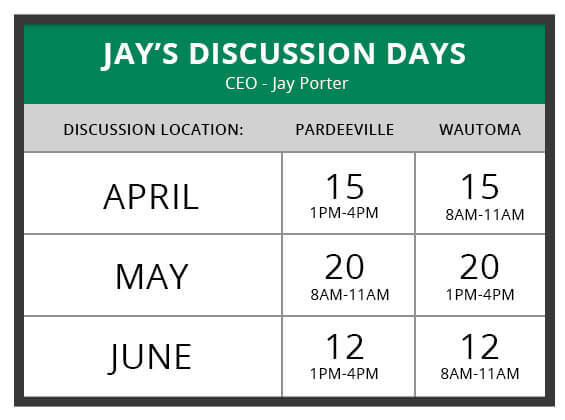 Now is the chance to sit down and have a discussion with our CEO, Jay Porter. Bring your questions and concerns, or simply stop in to say hi. Although these offices are generally closed to the public, on Jay’s Discussions Days, the doors will be open for visits.